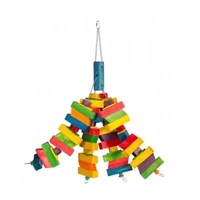 Extra Large Bird Toys Parrot Stars - Where Nature Comes to Life! 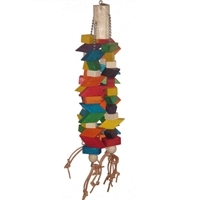 LT-28 4x4x2 natural toy with leather strips. LT-1 7 block large tower toy. LT-23 10 Block lagc Thin wood tower toy. LT-7 large 3 chain toy.